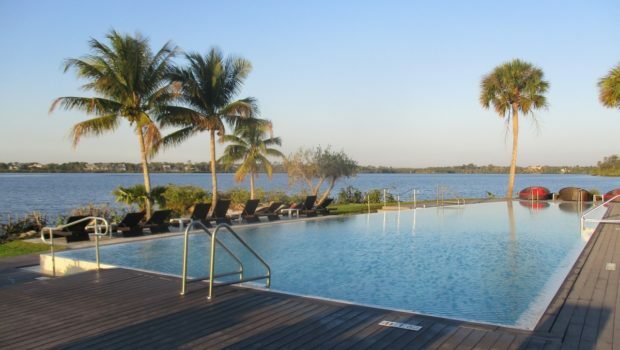 The Club Med Sandpiper Bay located on the St. Lucie river north of Miami specializes in total relaxation. The Club is known for offering the best in all inclusive getaways. Sailing, golf, swimming, Zumba, soccer, tennis, and volleyball are all on offer every day. 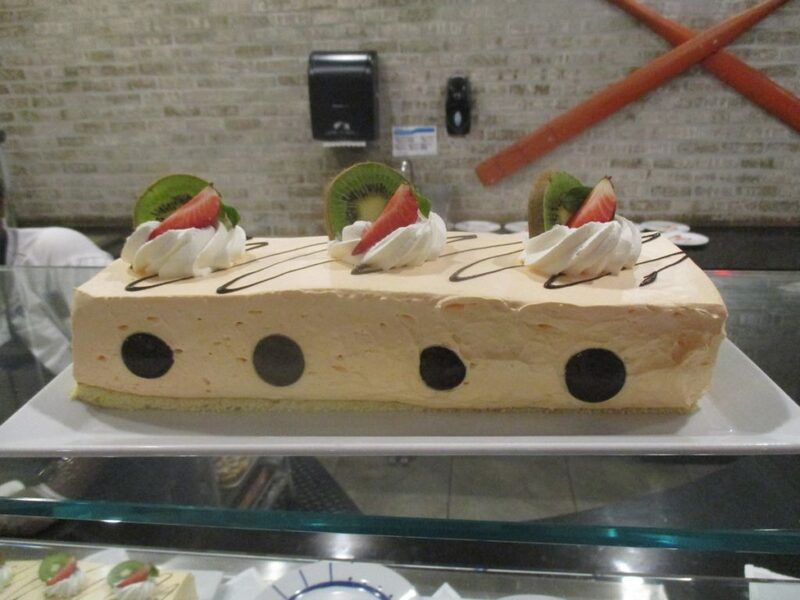 Dining is cafeteria style with up to 6 chefs cooking up fresh, mouth watering dishes all day long. There is even a reservation only restaurant for those who prefer traditional service. Let’s begin with what Club Med is all about. As soon as they step into the reception center, guests are enveloped in a warm embrace of hospitality. Everyone from the Chef du Village to the wait staff in the dining room can’t wait to give you a smile and make you feel welcome. For folks who are used to life aboard a cruise ship, the Club Med experience differs in one key way. At Club Med, there are activities available from 8 in the morning until well past midnight. But there are no intercoms blaring and no pressure to do anything but what you want to do. If relaxing with a good book at the pool is what you prefer, that’s fine. There is no hype, no gimmicks, and no promotions. At Club Med, you are the director of your own vacation. Children are welcome at the Sandpiper resort, but the Club Med facility has been carefully planned to provide ample opportunity for adults to relax without interference from young people. 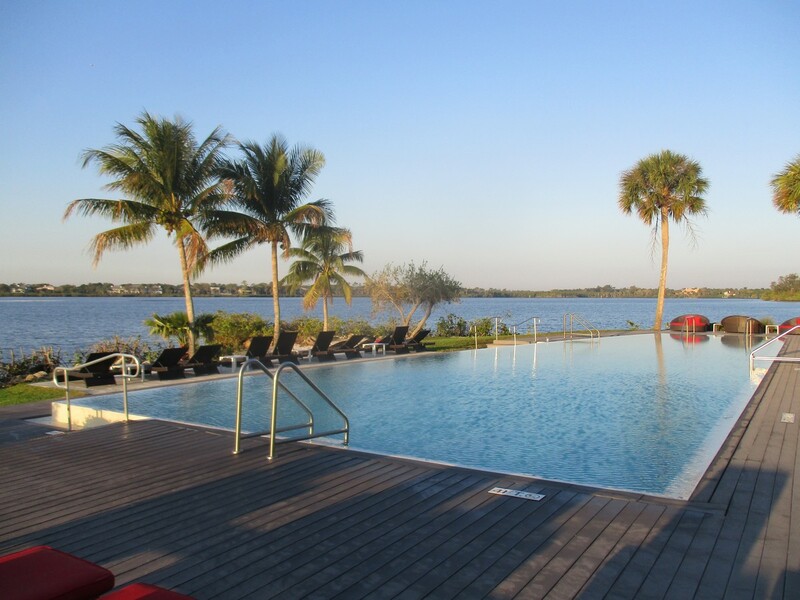 The Calm Pool area features a heated infinity pool and beach area adjacent to the St. Lucie River where the only distractions are pelicans and dolphins. Children have their own MiniClub, pool, and eating area at the opposite end of the property. Bountiful and delicious are the best adjectives to describe the dining experience at the Club Med Sandpiper Bay. Fresh baked bread is a specialty (my favorite is the white chocolate bread!). Home made soups at lunch and dinner. A vast selection of beef, lamb, pork, and ham. Made to order omelets. Fresh fruit in abundance. A selection of fresh salads and grilled vegetables. Pizza baked in a wood fired brick oven. It’s all served in a modern, thoughtfully laid out central area flanked by a variety of dining rooms. Inside, you can enjoy your own table or share your meal with others. One dining room is reserved exclusively for adults. Outside is Soleil, an open air patio just steps from the waterfront. Breakfast outdoors with the morning sun warming you is a treat to be savored. Wine and beer are included, as are a selection of mixed drinks. Espresso and smoothie stations are scattered throughout the village. 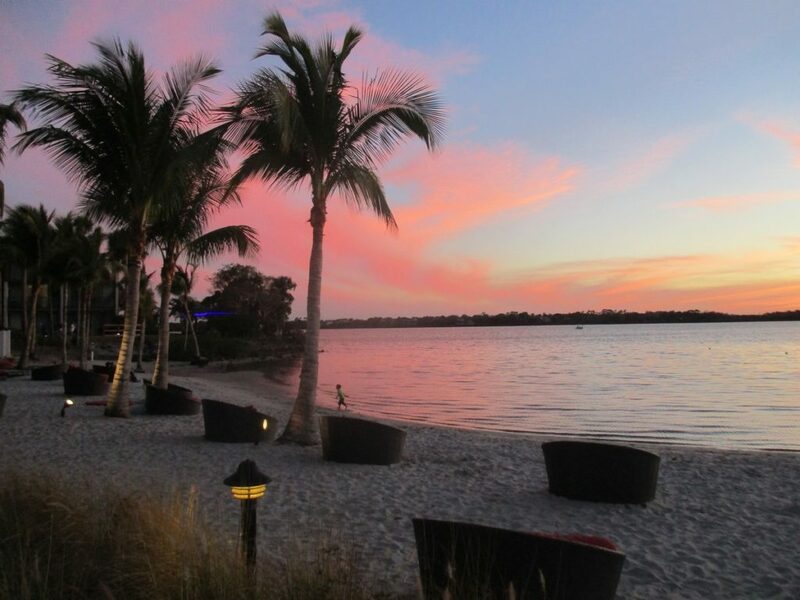 The Florida Club Med is built around Sandpiper Bay, a charming cove that is part of the St. Lucie River. 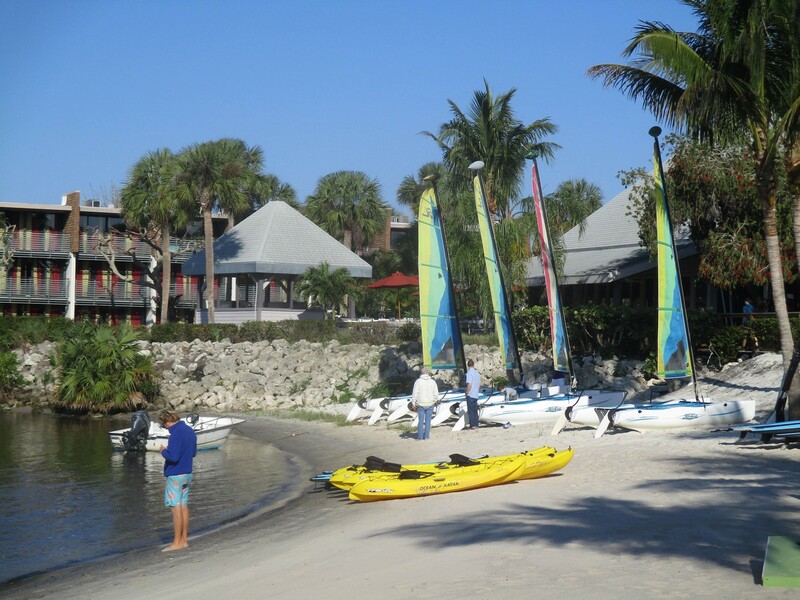 The waterfront team headed by Carson are all experienced sailors and water sports instructors. 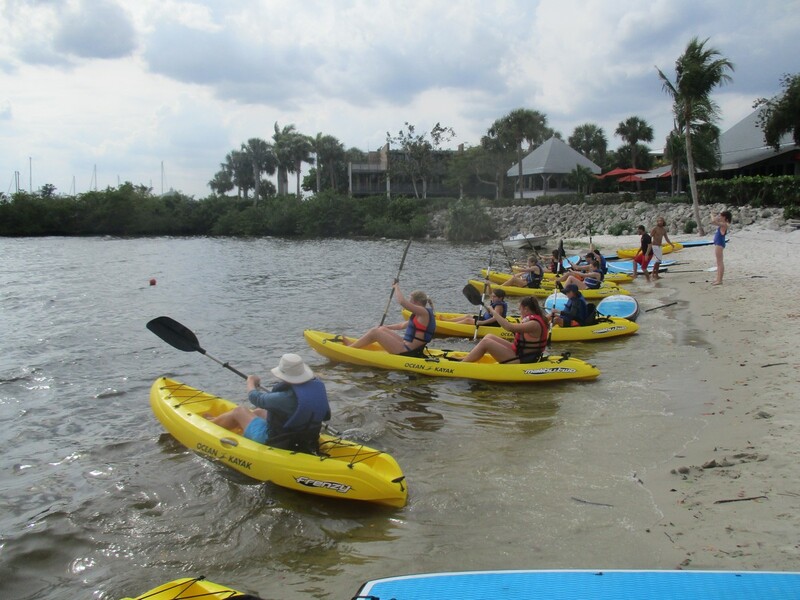 They will happily teach you how to sail, kayak, or use a stand up paddle board. The cove is usually calm and perfect for learning a new sport. Friendly competitions take place during the week. Friday afternoon is time for the weekly sailboat regatta. Wednesday is for kayak races. Once each week the youngsters take over the beach for a sand castle building contest. Scattered around the beach are large, comfortable wicker seats that are ideal for sunbathing, reading, or just lazing through the day. 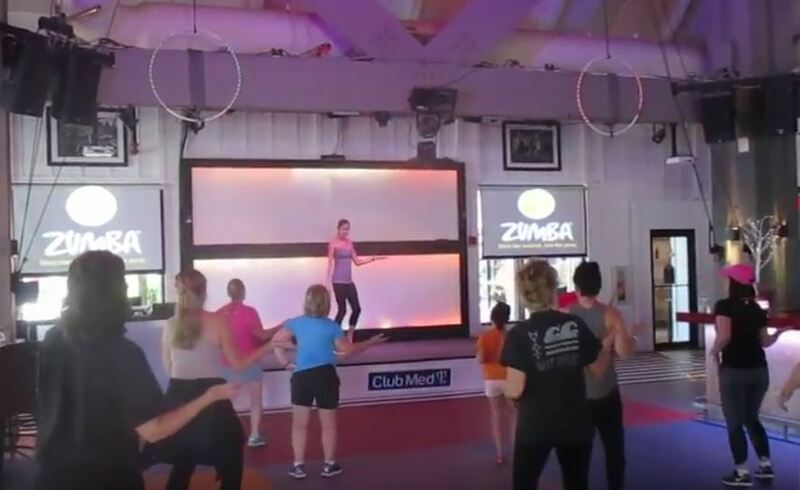 Under the caring eye of Emily, the head fitness instructor, guests are welcome to participate in a daily session of Zumba in the Slice bar or AquaGym outside in the pool. Guys, you really need to try this Zumba thing. It is very popular with women but great for macho types as well. Instead of sweating and straining in an airless gym, you can dance your way to a slimmer, more supple body and feel great doing it. Body massages and facials are also available at the village at additional cost to complete your fitness experience. Club Med Sandpiper has a full program of activities every day for children from infants to teenagers. Parents can simply drop their kids off at any time knowing they will be well cared for. 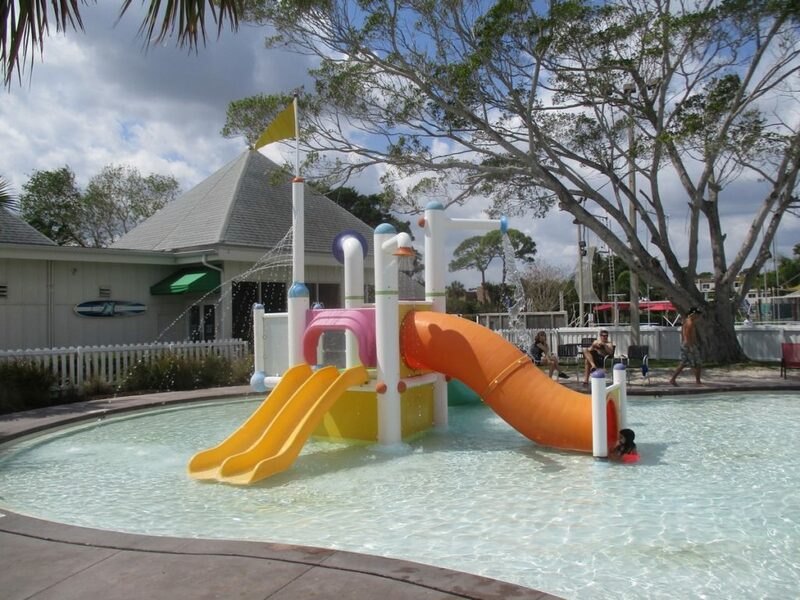 During their day, they will participate in a range of organized activities, eat in their own dining room, and enjoy their own dedicated pool and water park. Rap and dance contests are part of the program, with the little ones getting their own show one night each week on stage in the theater. They are too cute! 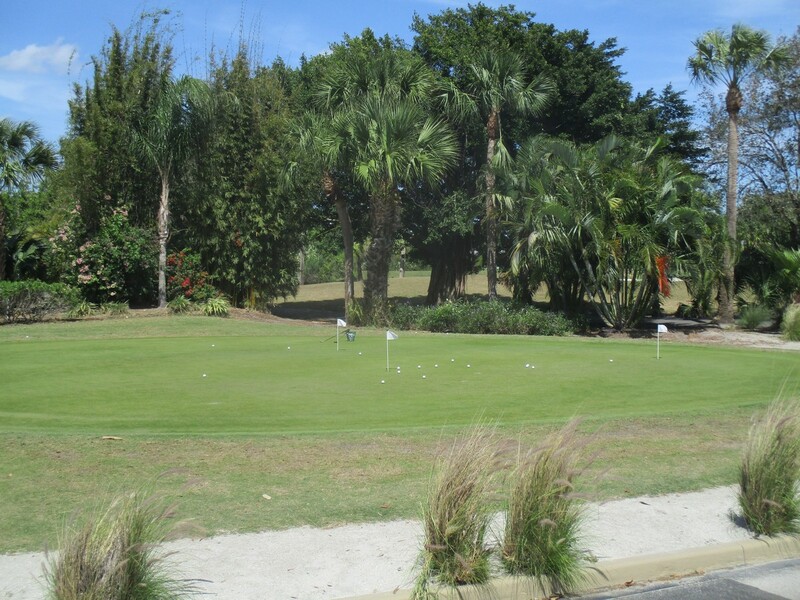 Club Med Sandpiper has its own 18 hole golf course. Greens fees for guests are very reasonable. 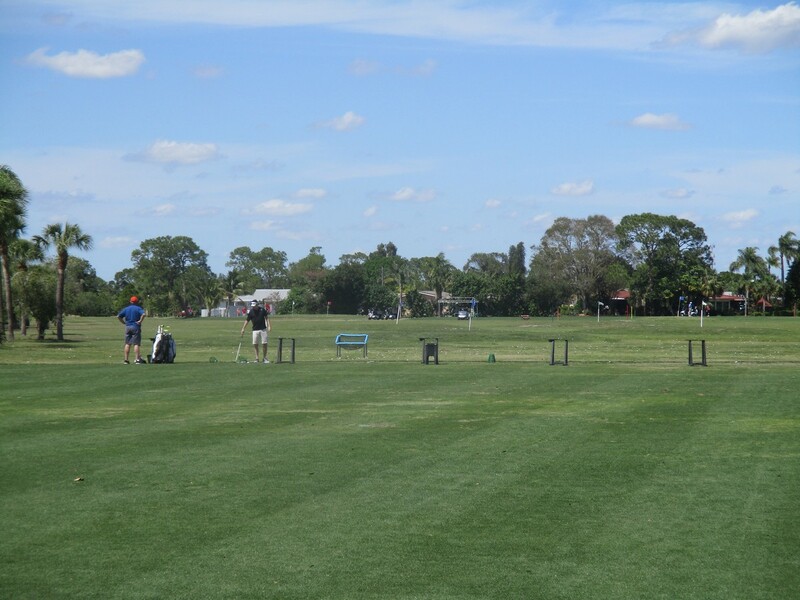 A driving range, putting green, and miniature golf are included. Clubs can be rented at the pro shop, saving the druggery of lugging your own bag through airports. Beach volleyball and water polo are daily events. 10 tennis courts are available and lit for night play. Racquets and balls are provided. Basketball courts and soccer fields are also part of the facility. Club Med Sandpiper also has a trapeze area where guests can find out how it feels to fly through the air. Don’t worry if you slip. Everyone wears a safety harness that lowers them gently to the netting below. One night each week, the instructors put on a show and guests who have advanced beyond the beginner stage are invited to participate. The staff at the village put in long hours everyday seeing to the every need of their guests. At night, they make up the cast of for a show in the theater. 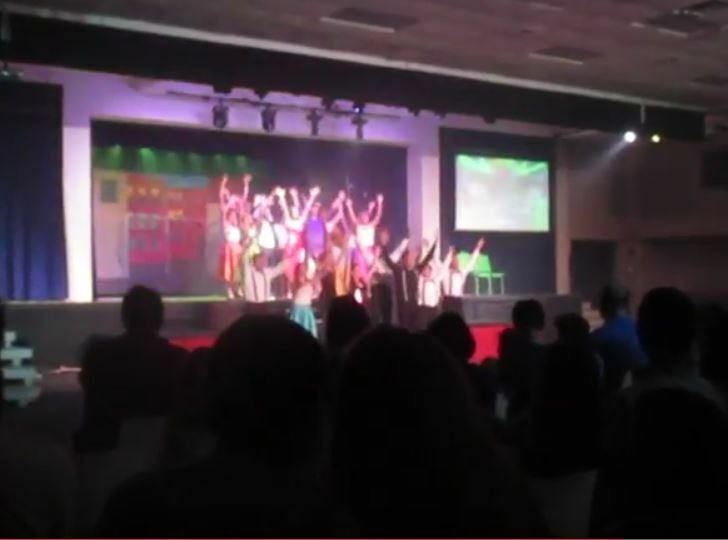 Each show features lots of singing and dancing, comedy, and gymnastics. Afterwards, guests are invited to the main bar to dance the night away with a local DJ. Folks, if you are going on vacation to rave about your room, Club Med may not be for you. The rooms at Sandpiper Bay are large. The beds are comfortable. There are plenty of sitting areas and a desk for your laptop. They are clean and well maintained by the staff. If you want to brag to your friends back home about how sumptuous the accommodations were on your vacation, you might want to go to a 5 star hotel in Miami. 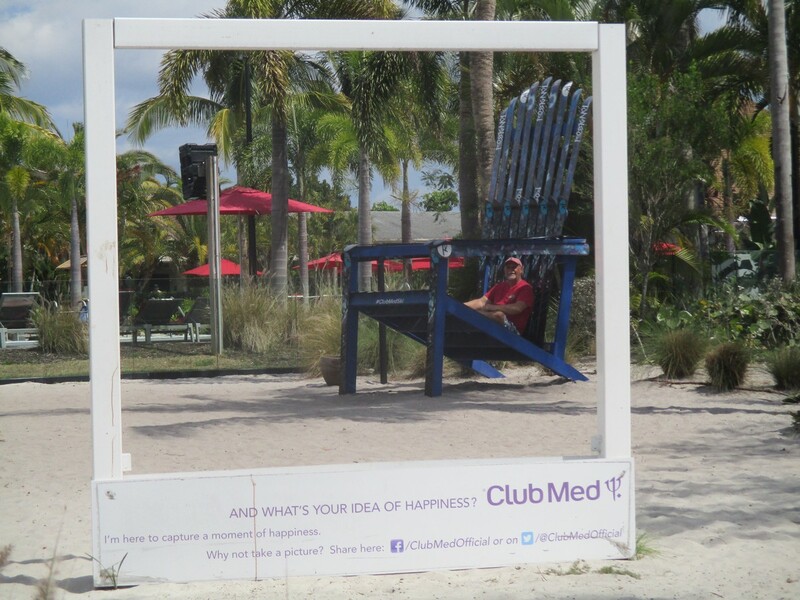 If you want to have a great vacation where all your needs are meet by a caring and attentive staff, go to Club Med. There is so much to do, you won’t want to spend a minute more than necessary cooped up indoors. A Club Med vacation is different than any other getaway you will ever have. It really needs to be experienced to appreciate how delightful it is to be surrounded by well trained people who devote every minute of every day to the happiness of their guests. Do what you want. Don’t do what you don’t want. It doesn’t get any better than that.